Julie serves as Sr. Managing Director in the Southeastern US region. In that capacity, she manages a team of Deal Makers, Vice Presidents, and M&A Analysts that specialize in middle market sized deals. As Managing Director of the Southeastern deal making team, Julie Sandoval works directly with private middle-market business owners in developing and executing exit strategies. Julie brings over 15 years of financial valuation, forecasting, auditing, and analysis, as well as market research experience to her current position with Generational Equity. Prior to serving in her current position, Julie performed financial valuations and marketing duties and most recently served as the Senior Vice President of the Central Region and Vice President of the Southeastern Region. 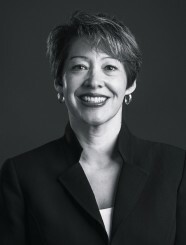 Julie Sandoval holds a Bachelor of Arts degree in Psychology and a Masters of Business Administration with a concentration in Finance from New Mexico State University.